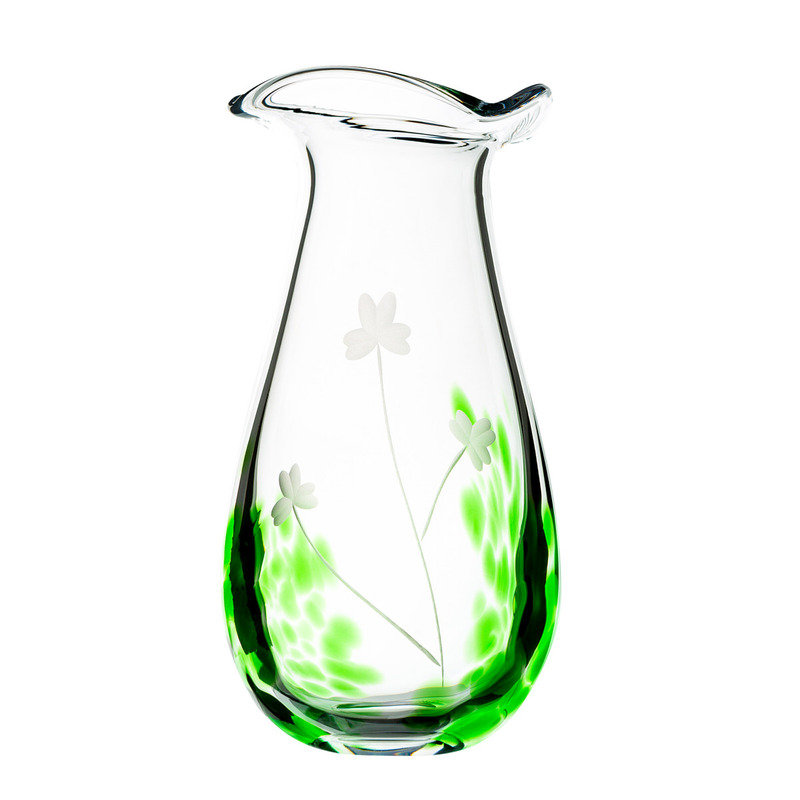 Approx 10″ tall vase with hints of emerald green and shamrock etching. Approx 10″ tall vase with hints of emerald green and shamrock etching. This is a beautiful piece of crystal mouthblown and handcut in The Emerald Isle.